Keeping in foresight the threats that could be posed to flights while landing and taking off, authorities have issued notices to 176 entities that include a five star hotel and a popular shopping mall. The Delhi International Airport Limited (DIAL) is dealing with safety issues surrounding the aerodrome. 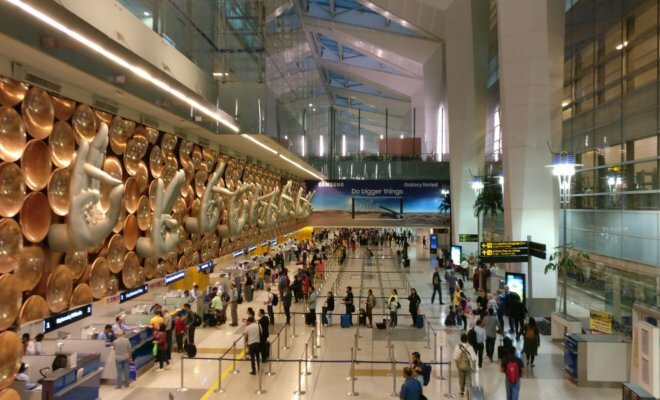 Operator of Delhi’s Indira Gandhi International Airport, DIAL recently issued notices addressing 176 hindrances such as trees and light poles that could pose threat to flights during landing and take-off. Notices have also been given to owners/occupants of buildings, following an order from the Delhi High Court. The buildings include a popular shopping mall and a five star hotel near the airport. Pylon, cell phone mast and metro electric traction overhead frame have also been identified as obstacles. In March, the DIAL had intimated the Delhi High Court about 365 obstacles around the aviation grounds in response to which the court had asked for a list of the threats/obstacles. According to the Ministry of Civil Aviation (Height Restrictions for Safeguarding of Aircraft Operations) rules, 2015, any construction coming up within 20 km of an airport has to obtain a no-objection certificate from the Airports Authority of India (AAI). As per an obstacle survey conducted by the DIAL, “Various structures have been identified as infringing the height restrictions provided” in the Civil Aviation rules. In a statement, a DIAL spokesperson said it has been working continuously to ensure flight safety by protecting obstacle limitation surfaces around the airport. “Based on the findings of the obstacle survey, the DIAL has been pro-actively approaching owners/ occupants of buildings, cell phone mast and trees. Due to the persistent follow up by the DIAL, more than 50 obstacles have been removed so far,” he said. Aerocity, a colony of several high rise hotels near the international airport is also being considered as a threat to safety and security of the aircraft flying over it, and the High Court is hearing a petition about the same filed by Kerala-based lawyer Yashwanth Shenoy. The developments on the matter will be known of as and when the hearings happen. With three operational runways, Delhi airport is the busiest airport in the country. The aerodrome handles about two hundred thousand passengers and around 1,300 flight movements daily.